We are Cabinets of the Desert. Before incorporating Cabinets of the Desert we were successful builders and remodelers. We built some of the Desert’s most energy efficient homes and completed many remodels at various communities, including Palm Valley Country Club, The Lakes Country Club, Woodhaven Country Club, Rancho Santana, and Whitehawk. Driven by our experience in working with other cabinet companies and because cabinetry is such a core component of a remodeling project, we formed a cabinetry company that would be truly responsive to the needs of interior designers, contractors, their clients and also small tract home developers. This plus our commitment to green homes led us to our alliance with our selected cabinet suppliers. 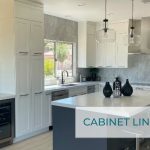 We featured cabinets by our various cabinet lines in many of our remodeling projects and have firsthand experience of the quality of the product and of these manufacturers. Thank you for visiting Cabinets of the Desert.